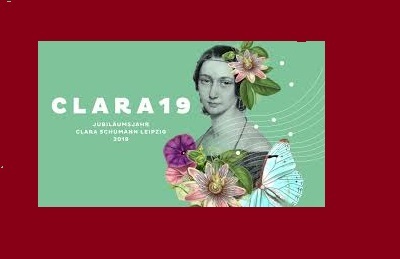 DARTS’ speaker, Elizabeth Handley, will delight us yet again, this time with a lecture on Clara Schumann, on the bicentenary of her birth (1819-1896). A musician and composer, Clara is considered one of the most distinguished composers and pianists of the Romantic era. She exerted her influence over a 61-year concert career, changing the format and repertoire of the piano recital, while also having composed a body of work including various piano concertos, chamber works, and choral pieces. She was married to composer Robert Schumann. Elizabeth Handley has an Honours B.Mus degree from Wits University (piano, voice and flute) and has been devoted to music throughout her life, as a performer, a teacher, programme compiler for the SABC, concert tour organizer, and much more. Currently, as a “swallow”, she manages the musical appreciation group for the international women’s clubs in both Stockholm and Cape Town. This year she delivered a series of lectures at the UCT Summer School. She also travels widely in Europe and Sweden, and is the editor for her own online culture & travel magazine: www.joiedevivremagazine.com.